Targeted exercises help patients quickly increase their range of motion. HUBER 360® EVOLUTION mobilizes joints safely and soothes pain fast. On-screen feedback helps patients improve their strength and better coordinate movements. HUBER 360® EVOLUTION develops superficial as well as core muscles. Balance games help patients regain their balance and become more confident on their feet. HUBER 360® EVOLUTION corrects posture and improves stability. Dynamic exercises adapted to patients’ physical condition to increase their endurance. 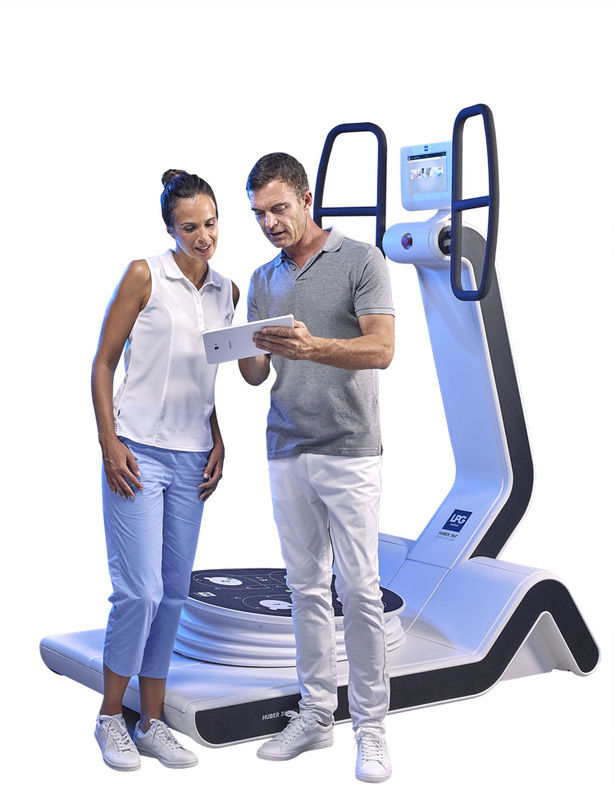 HUBER 360® EVOLUTION modifies BMI and improves the cardiovascular system. Neuro Physical Training is a unique training that engages both physical and cognitive skills. Sessions are effective, motivating and fun. With HUBER 360 ® EVOLUTION, therapists can treat more than 90% of conventional disorders. Using it offers significant benefits when treating ankle, knee, hip, shoulder and back problems. This medical device integrates a functionnal assessment with 7 reference tests and proposes a complete and personalized report in PDF.